The Freeport City Council will be meeting on Tuesday, January 19, 2016 at 6:00 pm at 524 W. Stephenson Street, 3rd Floor. You can watch it live on Comcast Channel 17. Presentation on Economic Data for Northwest Illinois (wherever that is!) by NIDA Director and TCEDA Director. Just look at their titles and you know the presentation will be another bureaucratic disaster. 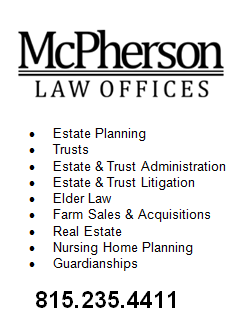 For everyone’s information LWA 3 consists of Boone, Stephenson, and Winnebago Counties. TCEDA stands for Tri-County Economic Development Alliance which consists of Jo Daviess, Carroll, and Whiteside Counties. The Rockford MSA (Metropolitan Statistical Area) consists of Boone and Winnebago Counties. The report starts out showing the population change in LWA 3 and then the next page shows population trends in TCEDA. This is typical of this report. 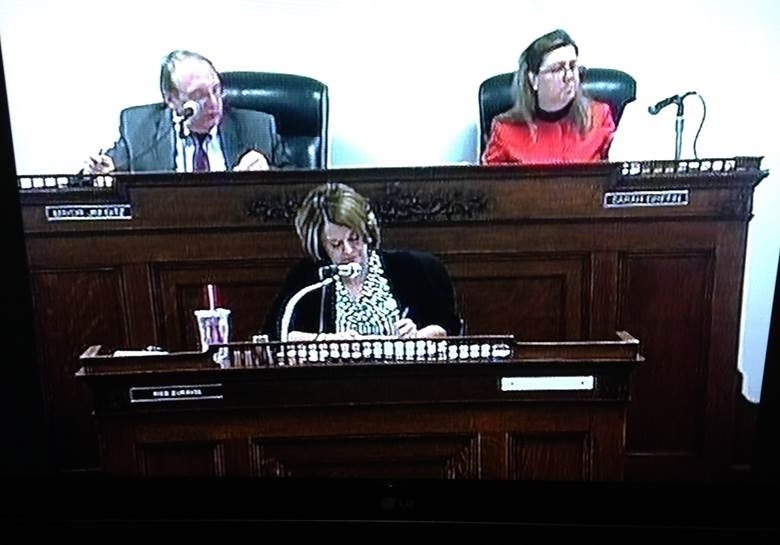 I guess the NIDA director is paid by counties in TCEDA and Rockford MSA. If the report had been done with consistent comparisons and an emphasis on Stephenson County, it would have shown disastrous trends for the area which should be addressed. Ordinance Directing Sale of vacated fire station at 1819 S West Avenue, Freeport. Before proceeding, the Freeport Assessor should give the Council an estimate as to how much the Assessor will assess the property for and how much tax revenue it will generate if it is sold. A prospective buyer would appreciate this information. This entry was posted in City of Freeport and tagged city council, freeport on January 19, 2016 by Good Day Illinois. Freeport Mayor Gitz and Alderman Klemm Walk Over New Council Members – It Could Be a Long Four Years! Freeport has five new council members and on Monday night they got beat down by the Mayor and Alderman Klemm. Only Andrew Chesney understood the real issue facing the Council. It was a question of power, and the Mayor and Klemm said to them – To Hell with you. Klemm lectured the new alderman in condescending manner. Basically, Klemm told them – you are stupid – you just don’t understand. Alderman McClanathan responded and capitulated. We need leaders and Andrew Chesney cannot do it alone. Someone should tell Klemm that he should worry a little less about training kitchens downtown, and start addressing the deteriorating conditions in his own 1st Ward. Oh well, I guess that is too much to expect from the man who thinks he is Mayor. This entry was posted in City of Freeport and tagged city council, city of freeport on May 6, 2015 by Good Day Illinois. Where Have All The Leaves Gone? The Answer My Friend Is On My Street In Front of My House! The Freeport City Council Meets tonight at 6:00 pm in the rented Freeport City Council chambers at 524 West Stephenson Street, 3rd Floor. If you have Comcast Cable, go to channel 17 to watch live. Since the Council will probably spend most of the meeting discussing leaf pickup, no comments will be made as to the other items on the agenda. On a more serious note, Mayor Gitz does refer to the piles of leaves around the City as “pothole fillers.” He is quite imaginative! Of some interest is the survey on what should be done in regard to city hall. Residents are given several options, and the responses are tabulated in this report which can be found at http://www.ci.freeport.il.us/departments/Outreach/City%20of%20Freeport%20Survey%20Report.pdf Read the report – you will have read more than most council members have read in the last year. Too bad it is not in comic book form with lots of pictures so the council could understand it. This entry was posted in City of Freeport and tagged city council, city of freeport, leaves on November 17, 2014 by Good Day Illinois. It is scheduled for Monday, January 7 at 6:00 pm in City Council Chambers at 524 West Stephenson Street, 3rd Floor. One item of interest is a resolution to approve spending $32,100 for a preliminary Site Investigation for the Jane Addams Trail. This entry was posted in City of Freeport, Politics and tagged city council, extreme cold, schools closed on January 5, 2014 by Good Day Illinois. 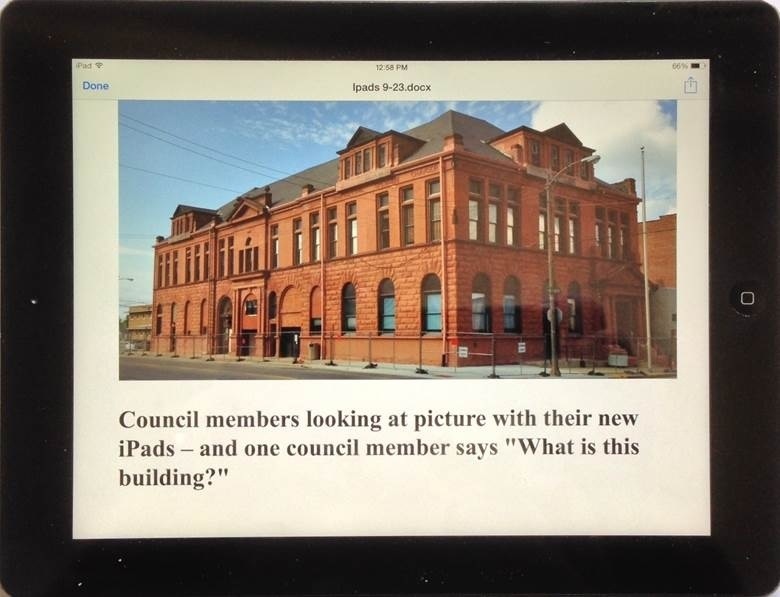 iPads in principal are a good idea, but they will not help solve the basic issues before this Council. 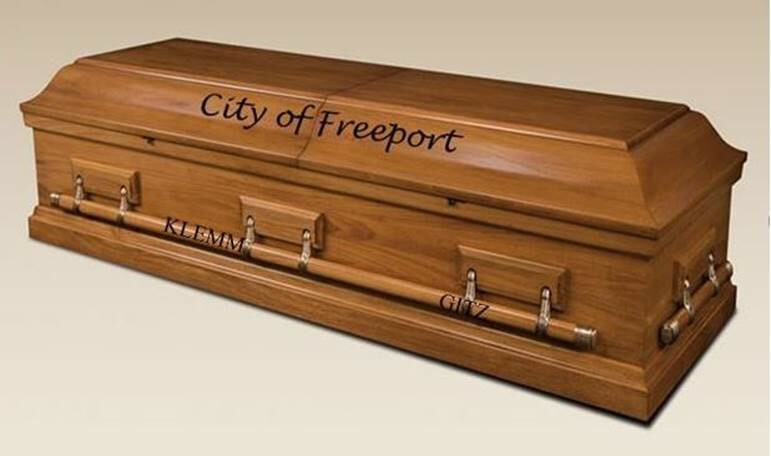 The majority of council members are either incapable or do not care about taking the time to address the issues facing the City of Freeport. Whether proposed ordinances and other issues to be addressed are on paper or on an iPad, it makes no difference if they cannot or do not read them. On balance it should save money since paper is expensive. Of course, the City will probably hire consultants to teach them how to use the iPads and that will cost the City a few thousand dollars! Then some members will still not be able to use them, and the City can send them to remedial courses at iPad University. This entry was posted in Business, People, Politics and tagged city council, freeport, government waste, ipads on September 23, 2013 by Good Day Illinois. Hope You Read Lips If You Want to Watch Freeport City Council Meeting on Comcast Channel 17! No sound for council meeting on September 16! Read Good Day Illinois for August 27 for a review of Gitz and his first 90 days. This entry was posted in News, People, Politics and tagged city council, freeport, no sound on September 16, 2013 by Good Day Illinois. Before you watch the Council Meeting, be sure to read the comments on Mayor Gitz in Good Day Illinois on August 2. Accountant Duane Price has financial results for last 3 months of the fiscal quarter ending July 31. All taxpayers should look at this. Freeport like most cities taxes everything from electricity to your cable bill. One member of the City Council states that the City’s portion of your real estate tax bill is small. That may be true, but you couple that with all of the other taxes we pay to the city and it is NOT SMALL. Community Development Director Shelly Griswold has a memo on the $100,000 being given to NIDA with one-half from the general fund and one-half from 3 TIF funds. Does anyone ask NIDA for a detailed accounting on how these funds will be spent? When public funds are expended, doesn’t the public have a right to know? Second readings of 4 ordinances. One of interest deals with sprinkler systems. First Reading of Ordinance to add Breweries as a special use to M1 Limited Manufacturing District. Sounds good – we could use a good brewery in Freeport! On other items, reference is made to the appointment of a special committee to recommend technology and procedure for Council lap tops and tablets. Also, they want to spend $4,000 for the purchase of lap tops or tablets. Before they do this, some members of this council should learn to read first. Watch the Reports of Department Heads – Especially the City Engineer. Remember the Council approved paying Fehr-Graham $10,000 to inspect crack sealing. I guess we will save that money since they received no bids to seal the cracks or will they pay $10,000 to tell us the cracks are not sealed! Please see the posting on July 16 in Good Day Illinois when the City Engineer discussed crack filing. Most streets in Freeport are in such bad shape that sealing cracks will do no good. This entry was posted in Politics and tagged city council, freeport, Politics on September 3, 2013 by Good Day Illinois.